If you’re designing software applications, you need icons. Lots of icons. You could buy an icon set or commission to have your own icons custom made but, if you’re just getting started on a design project, chances are you don’t actually know what you need yet. At least, not until you’ve explored the application design a little more and developed the requirements. That’s where a good set of free icons can come in very handy. Many free icon sets are high enough quality to use in production. But, whether or not you use the free icons in your final application, having a large set of icons at your disposal will prevent you from stalling in your design project and get you to your deliverables faster. You can mix and match but when you have to find and combine icons from lots of different sets, you lose congruency in your design. That’s not so bad in the initial stages but can get distracting as the design progresses. 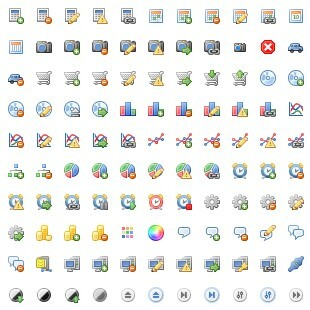 After many days of searching, I found hundreds of free icon sets. But there’s a reason this post only lists 10. Rather than hit you with as many sets as I could find, I’ve chosen fewer, high quality icon sets containing a large number of icons, so you can maintain consistency throughout your project. The images, below, are typically just a small fragment of the overall set to give you an idea of the icon styling in the sets. 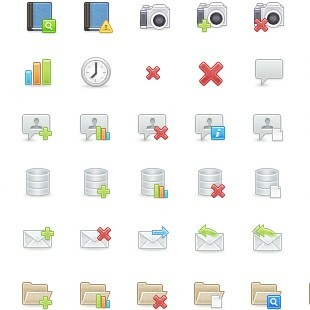 In most cases, these icon sets are free to use for personal or commercial projects. Some may need attribution. None may be re-sold or re-distributed. Please make sure you read the terms and conditions or license file for each set before use. GUI Design Studio lets you incorporate icon images of practically any type into your mock-ups and prototypes, and can scale them to any size. You can also choose to display them all in monochrome to minimize distractions. 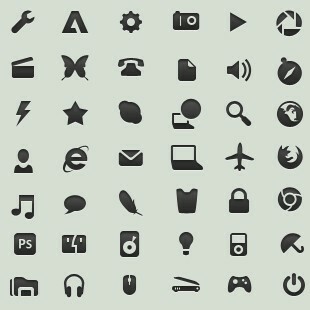 An incredible set of beautiful, well-crafted icons to cover a huge variety of applications. In two sizes, perfect for ribbon bar applications with buttons that need to adapt. 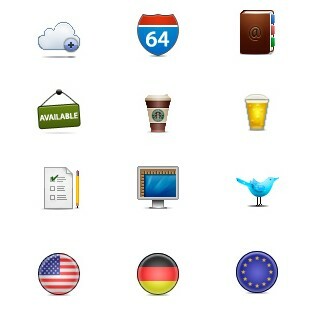 A very nice set of bright but smart looking icons for a broad set of applications, including keys, lots of social media icons and round-styled flags. A fantastic assortment of high quality, consistent icons. 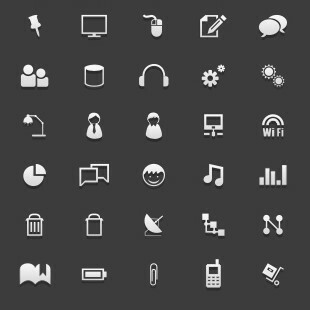 Small sized icons, this popular set has been around for a while and has stood the test of time. 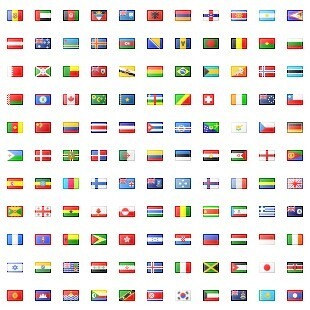 All the flags you’ll ever need (probably). A complementary set to Silk. Small but very useful. 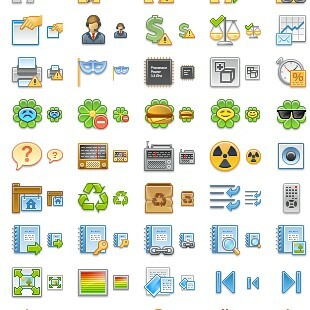 A nicely themed icon set that will blend well with many other icon sets. An interesting collection of flat icons in various colours that are ideal for mobile projects or prototyping where colour can be a distraction. A good collection of flat icons in light and dark shades for mobile projects. 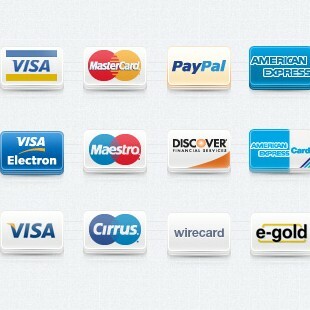 A very nice collection containing some of the most common payment options. Of all the payment icon sets available, this one stood out. While other sets contain social media icons, this is a beautiful set that work really well together, with a large selection available. You’ll probably want to make smaller versions, though. While not a huge set, it’s good to see a carefully designed icon set for a specialist area like healthcare. Having filtered through over 100 icon sets, I’ve got a few more waiting in the wings that deserve to be shared in another post. Share this article to spread the word about these fantastic icon sets. Leave a comment if you’ve found this list useful or if you know of other, high quality, free icon sets you think we should mention. Buy royalty free stock graphics and vectors, icon sets and Photoshop add-ons from GraphicRiver, a huge marketplace of great files…. Copyright © 2003-2019 Caretta Software Ltd.